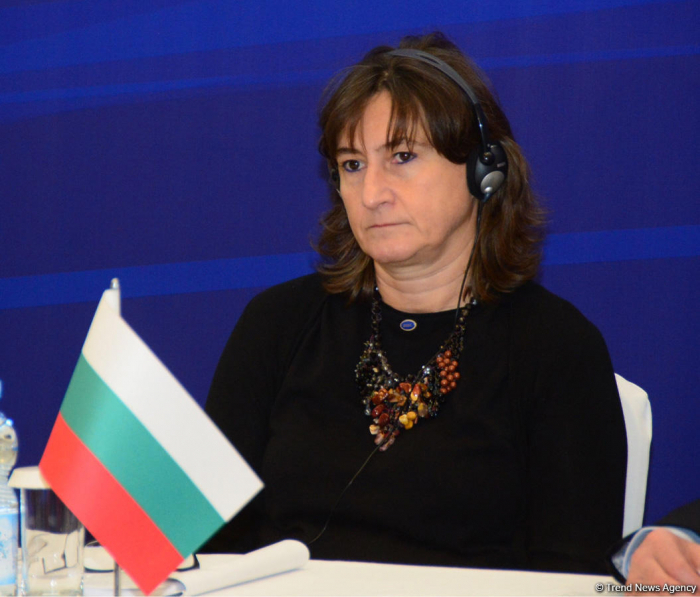 Bulgaria will continue Azerbaijan’s work in the Organization of the Black Sea Economic Cooperation (BSEC), Deputy Foreign Minister of Bulgaria Emilia Kraleva said, AzVision.az reports. She made the remarks at a press conference following the 39th meeting of the Council of Foreign Ministers of the Organization of the BSEC member states in Baku Dec. 14. BSEC is a living organism, she said, noting that the organization contributes to the development of the region. BSEC has more than 20 working groups that cover all areas of activity, including trade, she added. The organization will try to increase the efficiency of its work, she said. Kraleva noted that the chairmanship of Azerbaijan in the organization is fruitful. The interconnectivity, which is a priority of the Azerbaijani chairmanship, is very important, she said. Kraleva added that the BSEC should remain an organization focused on projects’ implementation.